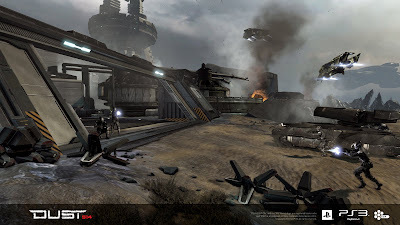 CCP Games today announced that DUST 514, its fiercely innovative massively multiplayer online first-person shooter (MMOFPS) will be free-to-play on the PlayStation®3 computer entertainment system.DUST 514 is the first console game of its kind, set in the massive shared, persistent EVE Universe. Players will be able to download the game for free via PlayStation®Network and jump directly into the most enthralling and sophisticated virtual world ever created. The first global hands-on demonstration of DUST 514 will take place at CCP's EVE Fanfest March 22-24 in Reykjavik, Iceland. DUST 514will deliver exhilarating team-based combat on thousands of planets within the vast reaches of the EVE Universe. Mercenary teams in DUST 514 will work closely with starship pilots in EVE Online to wage battles, acquire territory, amass wealth and build empires. "As the first true free-to-play FPS on PS3™, Dust 514 signifies a big step forward in the evolution of console gaming," said Phil Rosenberg, SVP of Business Development, Sony Computer Entertainment America LLC. "PS3™is the only platform where players will experience a AAA game like this for free and showcases our commitment to deliver the best games exclusively on PlayStation Network." By:Eric Monacelli – Community Strategist, Naughty Dog. By now you’ve become a badass at being a dependable teammate while taking out enemies trying to kill you in Uncharted 3 multiplayer, right? Not really? 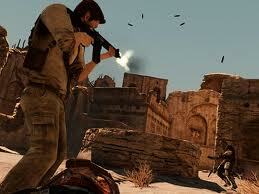 Ok, well, practice up because a new game type is coming in fiery hot to Uncharted 3: Drake’s Deception multiplayer! Co-Op Shade Survival Mode will be available Tuesday March 13 on the PS Store. You’ll be able to tackle some of the toughest enemies in the UNCHARTED franchise with the help of your friends. The Djinn haunt this mode as you and your friends will be assaulted by wave after wave of progressively more demanding opponents. There are eight rounds in total. The Djinn’s ability to catch fire and teleport poses a formidable challenge to team strategy and coordination. Later rounds include highly skilled Djinn sporting extra armor and firepower so get ready for a hearty battle. Players will earn a very sizable amount of cash by playing this mode through to completion and therefore can level up more quickly when surviving the onslaught. There are new medals to earn and different round objectives may come into effect during a match. The Marked Man round objective makes its first appearance in an Arena setting as a certain Djinn will be marked and then heavily protected by other Djinn bodyguards during the match. Standalone, this mode will cost you €5.99/£3.99. If you’re already a member of the Fortune Hunters’ Club this new mode has cost you only the initial price of admission – you can download the Co-Op Shade Survival Mode for Free on Tuesday. If you’re still not a member of the Fortune Hunters’ Club but want to get in on all the DLC that’s available for Uncharted 3, the FHC is the most cost effective way to do so. For €24.99/£19.99 you can become a member today and all 14 packs of DLC content will be marked free for you to download. Just click on the FHC icon to buy it via the PS Store, or grab it via the in-game Uncharted 3 store today. As a FHC member you save over 60% on the 14 packs of Uncharted 3 DLC. Current members and any new membership purchased will receive all currently available and any upcoming DLC packs for Uncharted 3, as well as the exclusive Fortune Hunters’ Club theme for your PS3. When new Uncharted 3 DLC hits, you’ll be notified right from the XMB of your PS3 with a message that will take you right to it. The first blockbuster game of 2012 has arrived! Mass Effect™ 3 from BioWare, is now available at retail stores in North America and will be launching in Europe on March 9th. Get your guns polished Mass Effect 3 is looking pretty promising for shooter fans. But what what the girls at GGP like is that Bioware did not leave the ladies out of the game plan. Its about time game developers finally got around to giving us a game that includes nearly as many female characters as the guys for a shooter game. A big thanks to Bioware. The story evolves around an all out galactic war to take the Earth back from a hybrid alien race. Whats great about this game is, that you get to decide on how to take different courses of action through out the game. The outcome of the game will be based on your decisions. The wrong choice can have consequences that can lead to the entire destruction of other civilizations. The story includes Lieutenant Commander Ashley Williams who is a career military officer with the Systems Alliance Marines. Also featuring Dr. Liara T'Soni is an asari information broker with a background in scientific research on Prothean technology. But that's not all, with the planet at stake, you will find a good selection of other leading ladies fighting along side the guys. 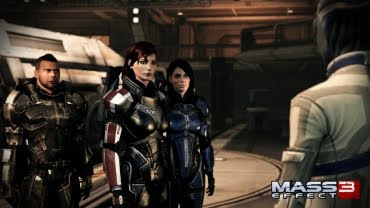 Mass Effect 3 includes a multiplayer co-op. 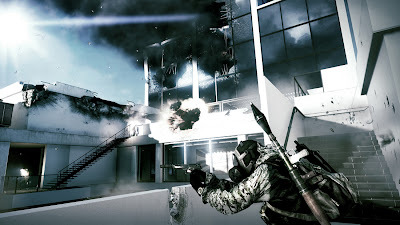 As in most shooter co-ops, engineers, soldiers, and infiltrators are in the mix and every one has a job to do in order to help their team win the battle. The game maps feel a lot like Kill Zone 3 and Crysis 2 giving it a suburb visual experience. There is a large variety of weapons and explosives to choose from which pack some pretty devastating effects. To further wet our appetite for battle, Bioware has also released the first DLC From Ashes that is now available to download. 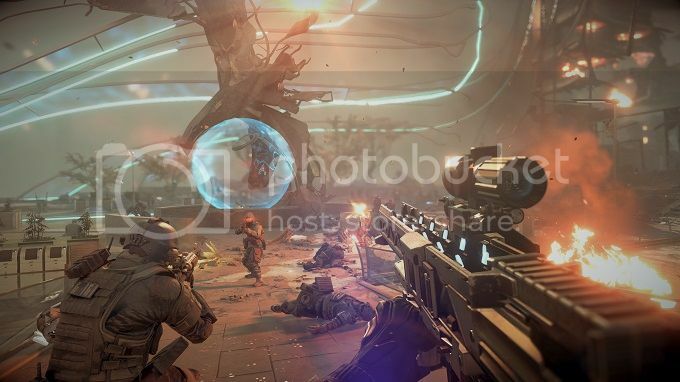 The DLC offers an expansion of the story with new objectives extending your game play. From Ashes is available for $9.99 or 800 Microsoft points and is included when you buy the collectors edition.